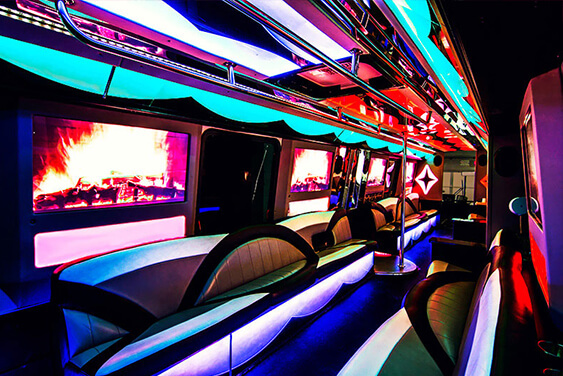 You won't believe your eyes when you step into our 40 passenger party bus! It is large enough to fit all of your friends, so invite them all! 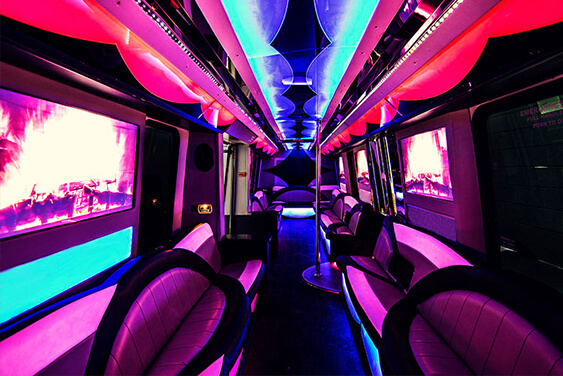 It features a light up dance stage with pole, coolers built into the seats, 6 flat screen televisions with DVD capabilities, and outstanding sound system with MP3 hook up, color changing lights, and more! 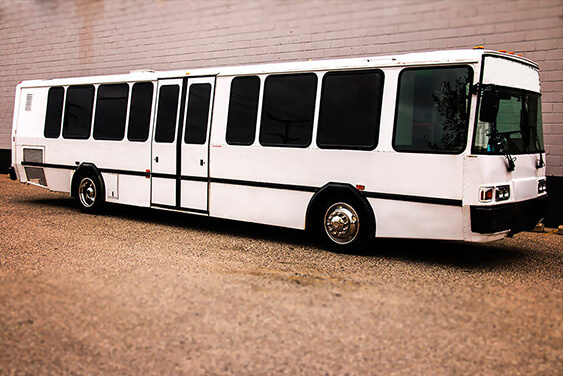 Call us today to find out how you can reserve this bus!